Girl (running): He has been a king since ’81! 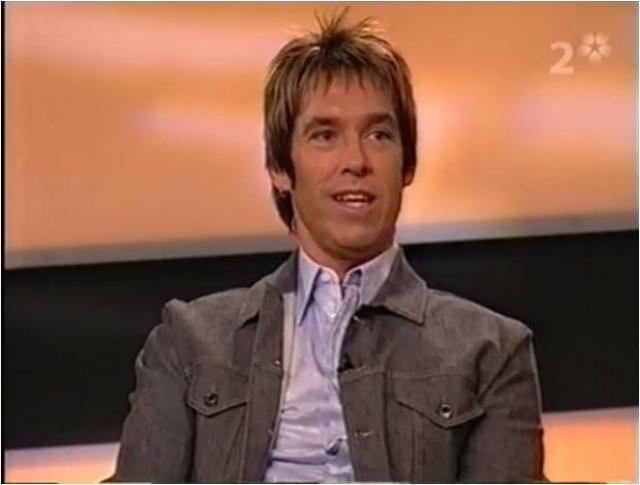 Rep: He has been a king since 1981, here comes Per Gessle, ladies and gentlemen! Hi, welcome! Here he is! Rep: Do you feel well? Per: Yes, I think that. Per: This is, well, we were in the studio, working with something. It was Joyride’s hay days and they said that they sold a Joyride-album every 14 seconds all over the world. And we were watching the clock: now, now… and so on. It was great. Rep: It must have been a fantastic feeling. Per: How do you know it? Rep: I know such things. 55 million sold records all over the world. Shall we say this information? Shall we understand that there are hundreds of millions of people who listen to what you have done? Per: I don’t know. It’s really powerful and remarkable. Rep: Do you think about numbers sometimes? Per: No, I don’t do that. 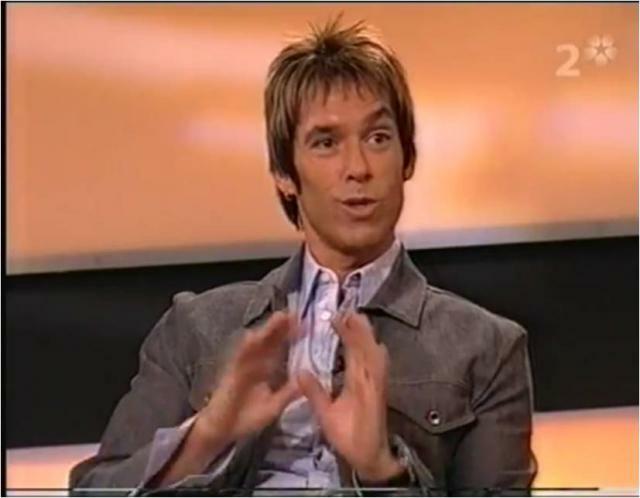 Rep: “Room Service”, Roxette’s latest album, has never been released in the USA. Rep: Does it bother you? Do you get irritated or angry because of that? Rep: Because it is said that you are quite competitive. Per: Not right now, but I was that before, in the middle of the ‘90s, after we had had a fantastic moment in the USA with our four number ones. I think we were neglected by the record companies because we were neither English people nor Americans. 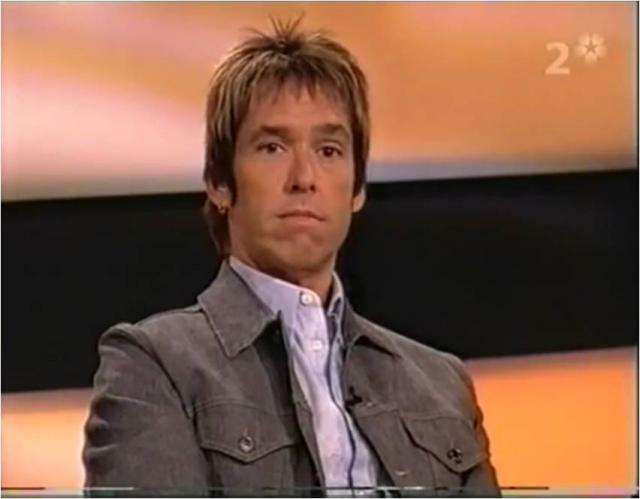 So I think that there are songs from Roxette album that should have better chances. But it is like that, we come from nowhere and we have already had our fantastic years. I can’t explain exactly. Rep: Nowadays people discuss a lot about internet, about downloading songs, about the rights of the record companies. There are many people who download songs. What do you think about that? Per: Well, I have my doubts about that. I don’t think that it is good to steal somebody else’s things. It’s nothing funny with that, it’s like you record by yourself on a cassette. I don’t think tghat you can do something against that. But what is it wrong with that? Is there anything wrong on the record or are there boring products? Can one do better records or better booklets? I don’t know, it is difficult to answer that question. Rep: What do you think? 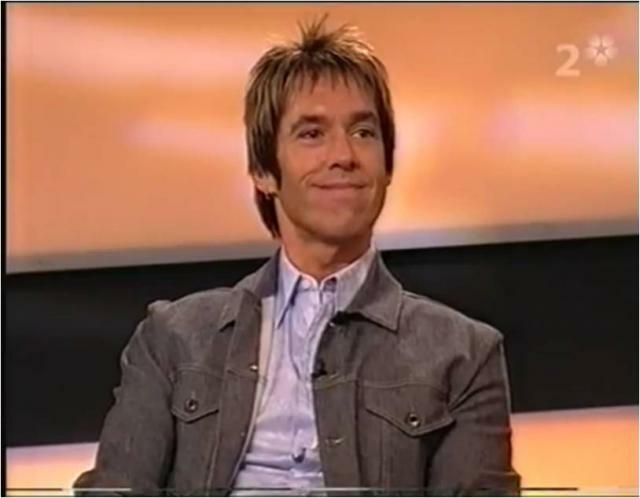 Per: I think it is the fact that on a CD-record there are only one or two songs which are good, the rest is just crap. It is also about the music climate that you want to have. It is very rare when you buy a record and you get crazy for all 12 songs or 13 or how many they can be. It was like that before. Now it is mostly the music climate that matters. Per: I don’t believe you. Per: No, as I said before, I have some doubts about that. I think that when you download a song means that you haven’t seen it yet. It gives an effect for the stage. I don’t know, it is difficult to answer. Rep: Is it true that you had 100 LPs when you were 10 years old? Per: Yes, something like that. You know that pop music has always been my biggest interest since I was 6 – 7 years old. My brother who was 7 years elder was teen-ager that time, at the beginning of the ‘60s. Rep: Because you are still a big fan as you were that time. Per: Yes, but after a while you lose from your interest. There come other things in life, like family and you grow up a bit… children, yes. Per: Cars and such things. Per: Yes, children and cars. You don’t know exactly if you are so good in music. When you hear or write a good song, it is difficult to make it in another way. Of course I am still involved very much. Rep: Your latest album, Mazarin…it feels that it has very much from you, compared to other albums, I mean it’s a bit private. Per: Yes, it was planned to do an album in my own way, so not taking into account the rules that exist. I went in Skåne and worked in Christoffer Lundquist’s studio. I was there in the cold winter and lived in a cheap hotel. And Mazarin was born there. Rep: Why did you live at a cheap hotel? Per: Because there was nothing else open. Rep: You know how it is in a cheap hotel, up and down. Per: But we wanted it to be like that. Rep: In which songs do you play bass? Per: I play bass in a few songs. I can’t do that, but it sounds quite cool. (laughs) But it is like that. The attitude we have had and Mazarin is the most honest album we have done so far. It is much more difficult to be yourself if you write it in English. Per: Have I said that? Rep: You said that, also when you were in Gyllene and later in Roxette with Marie. Per: Well, it can be like that. The latest tour I have finished shows that I work differently. Rep: A bit carefully, because you are 44 years old. Per: Yes, something like that. (laughs) And with this album, I don’t want to prove something, I just want an album which represents me and which shows what I want to do. Rep: Are you a god father? Per: I don’t know, I try to be that sometimes. (laughs) I don’t know, it’s difficult to say. I hope so. Rep: Is it scary to be a father? I don’t have any children, I am not a father. Per: If it is scary? I don’t know how scary it is, but it is quite difficult. Perhaps all parents say the same... it is difficult. Per: Yes, but my son is 6 years old. Rep: Yes, but you can remember since he was little. Per: Yes, it was a bit scary at the beginning. I remember when Gabriel, my son, was born and was crying a lot and you had to hold him about 20 minutes... without any help... it was very strange, but of course that it was fantastic. But you can’t drop him on the ground! Rep: Well, I don’t know. (laughs) So I have to start, I have to get a baby soon. Rep: Now we will listen together to your first experience. Rep: Ok, listen to this! Rep: (to the audience) I don’t think they realise what it is. Perhaps they should listen to the first part of the song to see what we are talking about. But you didn’t care about what was coming next. You were just listening to the intro. Per: Yes, to the intro. I have been like that since I was little. There can be such great sounds that you can listen to 1,000 times. It can be a little detail or some guitar sound like this. Rep: So you give the first feedback, and then you play the song. Per: I do that with almost all songs. There are many who get inspired from this kind of things. But in my world it is like that. Rep: How old were you when you were listening to this? Per: 6, 7 years old, perhaps. Rep: 30 times in a row. Per: Yes, something like this. When I grew up in the district called Furet, in Halmstad, I obliged my friends, to mime all these sounds on some special sticks that we used to play with and I was always John Lennon who played guitar. Per: You can still notice it. Rep: So you are still John Lennon. (laughs) I see. But you haven’t done too much advertising. Rep: You haven’t done any advertising. Per: Yes, but not so much. Rep: What kind of advertising? 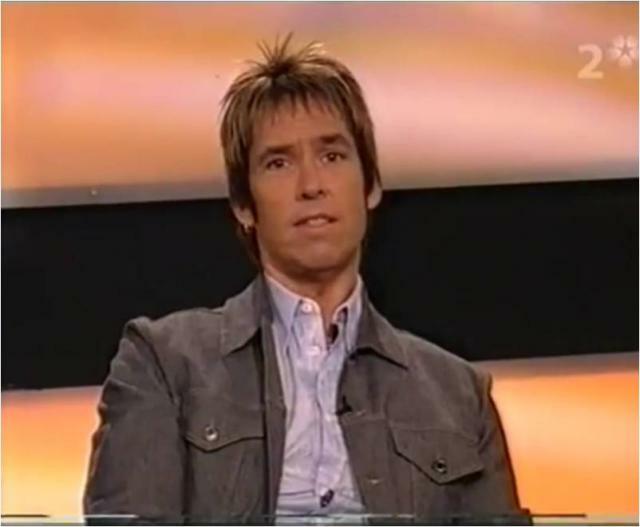 Per: When I was in Gyllene Tider, we had some promotional clips for Jordans Jeans, then we had an advertising for a milk-based drink called Big M – voluminous and important goods (laughs)... I think that we have done more advertising clips... like for Äpple Mer or something. Then we didn’t do so much, as far as I can remember. Rep: Then you have done this commercial, too. Look here! Per: But it was not really a commercial. We had got those guitars and we had them in the picture. It was stupid! (all laugh) Well, Rickenbacker was an important label in my life. Rep: Why Rickenbacker? Is it the same guitar that Lennon played? Per: Yes, as well as Tom Petty and The Birds and others. Great music has been made with Rickenbacken guitars. Rep: How many do you have? Per: I don’t know, 5 – 6 pieces. Rep: Is there a better sound from these guitars than from others? Per: No, but they are different anyway. Rep: Can you describe it? Per: Yes. Well, perhaps there is somebody here in the audience who remembers Birds. Somebody in the audience: Of course. Per: Eight Miles High, Mr. Tambourine Man, the classical Rickenbacke. Then we have Tom Petty, who followed the tradition. Rep: Do you use much Rickenbacke guitars on “Mazarin”? Per: Yes, the refrain of the first song Vilket hall du än går, a big “party” with 12-string Rickenbacke guitar. Rep: You know what priorities you have in your life. But can you understand that certain people think that you are more a business man than a musician? Per: I don’t know, I like to organize things, I like to control everything, I have my texts in alphabetical order and every disk is in order. It is easy to live like that, it works quicker. Per: I am a control-nerd, you know. Rep: How is it with this order from the other point of view? Do you have all your socks in order? And your shirts and so on? Per: I thought I have put on black and white socks today, but now I can see that they are blue and white, can you see it here? Rep: I can see that. Per: But I am like that. I have all my shirts in order, in fact. I have my records in alphabetical order. So yes. Short answer: yes. (all laugh) There are some exceptions, but, well, I have a family and it happens that my things are moved sometimes. Rep: Do you get furious on Gabriel that he has moved one of your records to another place? Rep: Don’t move your father’s things! Don’t move your father’s things! Per: Sometimes our friends come to us and eat lunch and they point at any book or something, and I have all my books in a straight line, so when they touch them, they push them a bit inside. They think it is funny. Rep: Have you never thought about any therapy? Per: Yes, I have. (all laugh). Rep: Have you been to any therapy? Per: No. But it sounds cool. Rep: Yes, I know it. Per: How do you know? Have you been there? Rep: No. In fact I have been there once. But I gave up because it was something too difficult. Rep: But isn’t it difficult to live like that? Per: No, I am used to that. Rep: I wish I were the same, but I am the opposite. I am always very chaotic/disorganised. Per: Well, I am like that. For example if the room is not cleaned, then I start to clean it. Clean all the time. Rep: You know, on Friday I was thinking to invite you to my house to eat dinner. So you are welcome! Rep: So you come that time, how nice! Is it true that you have never watched a competition for music talents? Per: I remember once when I was at my apartment in Halmstad together with Marie and we were watching “Dynastin” on TV, we were drinking red wine and watching TV. Rep: No music talents competition. Per: Like that you mean? Rep: I was thinking about Fame Factory and so on. Per: No. Such programmes are boring. Rep: But there are artists, at least they will be artists. Rep: You have your own beer, Per. Per: Have I? Ah, you mean at the hotel. Per: Well, it is something modified by me. I have my own label. Rep: I was thinking if you can do it here. Rep: Yes, a beer test. Jimmy Fun Lager is its name and it is only at the hotel, right? Per: Yes, if you say so. Rep: But you said that you are a control nerd. Per: Yes, but not these things. I am a control nerd for something that I am interested in. Rep: Aren’t you interested in beer, as well? Per: Not so much. I like wine mostly. Rep: Then we can try wine. Rep: Wine of 50 crowns. Rep: You haven’t drunk that for 20 years. Let’s say 200 crowns. Per: I have bought a nice sort of wine – Kenty. I think that is very good. Rep: Here we have the third sort of beer. Per: Shall I try them? Beer number 1. Rep: You don’t have to say what the other 2 sorts are. Per: No... Shall I drink some water after each sort of beer, perhaps? Rep: I don’t know. You can do that when you test beer. Rep: What did you say? Per: I hope it is not number 2. Rep: Now you have to taste number 3, too. Per: I like just number 1. Rep: You like beer number 1. Rep: Then I tell you: number 1 was Carlsberg, number 3 is Åbro (all laugh) and number 2 is in fact Jimmy Fun Lager. Perhaps good luck that it is only at the hotel. But the taste is a bit strange. Is it you who has done the label? Per: Yes, that is my drawing. Rep: How nice you draw! Rep: You can say “hello” to your audience. I know that some of you have sent me some questions. Tommie? 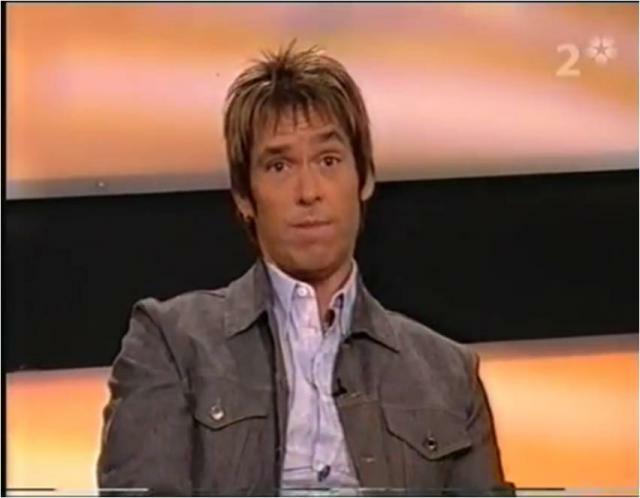 Tommie Hansson: Well, Per, I wanted to ask you if you have got tired of the tour life and you have planned any digital concert like David Bowie had yesterday, which could be seen in the whole world. Per: No, I haven’t got tired. I have never been tired on tour life, on the contrary, I like them. 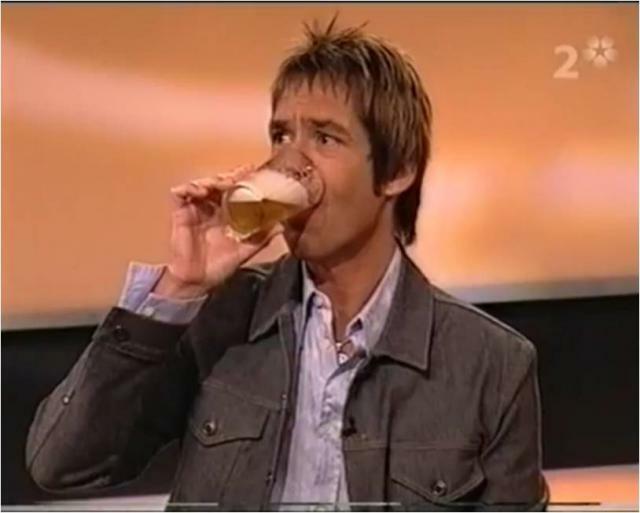 The latest Roxette tour of 2001, as well as Mazarin tour have been wonderful. In fact, you are another person when you get older, you have more self-confidence. We have great songs both in English and in Swedish. 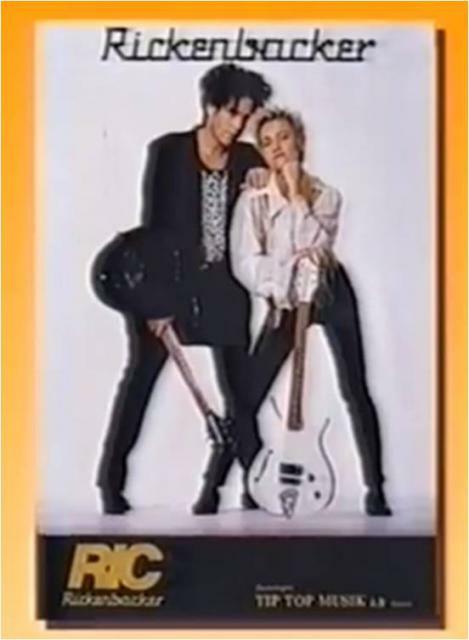 In case of Roxette, if we play 26 songs, 24 of them are hits. It’s just the years that can give them to you. I think I will keep on touring. Rep: But how is it with your body? You had a disc hernia. How is it? Per: well, I succeeded to lose a lot of weight and that helped me very much. I don’t have any problem with that, I train very much. Anna Lundmark: I wonder why your summer tour was just until Sundsvall and no more places. Per: That is a good question. It was like that. It was not a longer tour. We should have gone a bit higher up. Rep: Are you angry on him? Per: In fact, we hurried a bit. We have talked about that. We haven’t been higher up when Gyllene Tider had a comeback either. I don’t know, we will try to repair it. Rep: You must have a tour in the Northern part of Sweden. Only Northern Sweden, don’t play here in the South. Rep: Elisabeth? Ah, you are sitting there! Elisabeth Hellerström: I wonder which qualities are important, in your opinion, for different types of music in this branch. Per: Well, I am not a very talented musician, or a special singer. I can’t read or write musical notes. In my case it is that I know how it should sound like, I know what I am looking for. Then I have a lot of people who work with me. Then I feel that these people that I work with work also with other people, where they do totally different things than they do with me. So I have done what I wanted to do with their help. It is difficult to answer this question. I don’t know. Rep: You father died of cancer exactly when Gyllene Toder broke through. Was it difficult? Well, of course that it was difficult because your father died, but was there anything that he had never been able to experience? 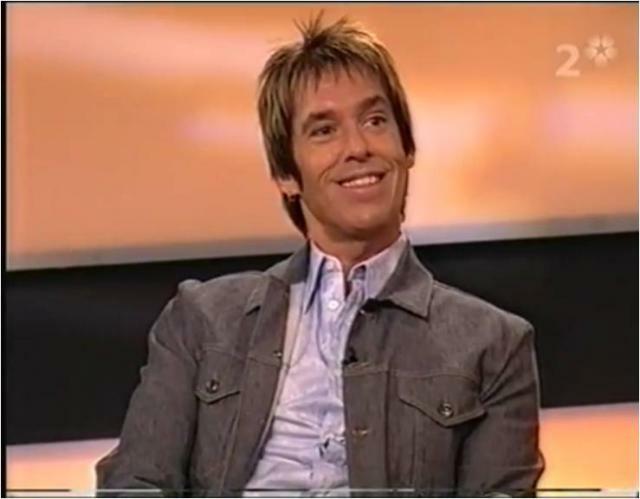 Something related to Per Gessle. Per: Well, Mats Olsson wrote in Expressen that he liked Gyllene Tider. My father died the same day when the first article about Gyllene Tider was written in Expressen. Strange, perhaps. And after one week, my mother, who still lives, told me that my father could have never accepted that I became a musician. Then his brother told me that it could have been the main conflict in the family if he had been alive. So I don’t know. I don’t know exactly what could have happened. It was 1978, so long time ago. Rep: Are you the happiest person? Per: The happiest? Well, that is a difficult question. Rep: When were you happy the last time? 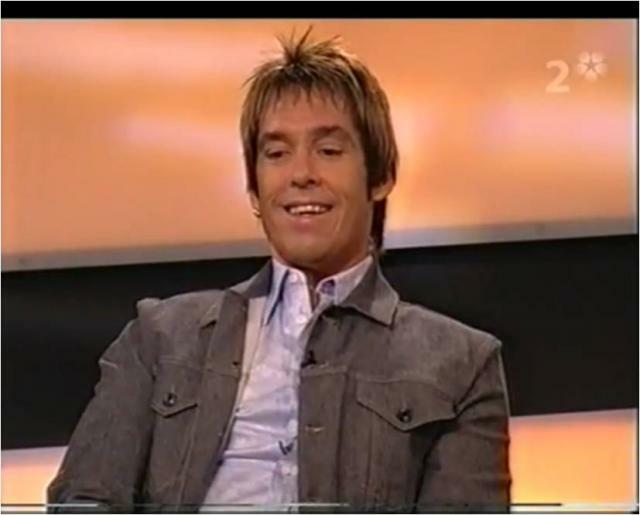 Per: Well, I have flown a lot, especially with Roxette. I like that a lot. Rep: So we say like that. Per: Yes, we can say like that. Rep: Now you take your beer number 1 and I take number 3, so we leave here number 2. And Cheers! Rep: And thank you for coming here. On Friday you will meet another singer.